I f you’re a Hyper-V administrator, you need all the information you can get about host and guest VM resource utilization. However, when you don’t have any Hyper-V monitoring framework in place, you still can’t afford to work blind. 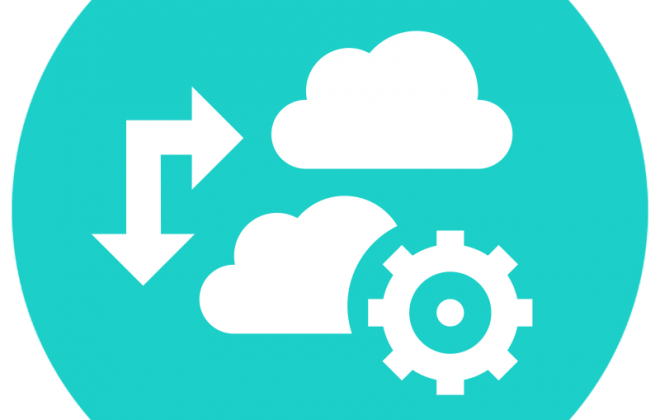 Veeam released a new tool for the Hyper-V admins called: ‘Task Manager for Hyper-V’. It provides live performance monitoring metrics for CPU and memory for both host and guest VMs. Improve troubleshooting in your Hyper-V environment by seeing what Windows Task Manager doesn’t show you. 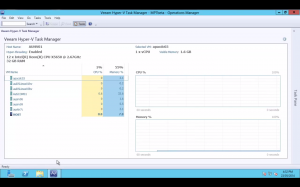 Veeam Task Manager for Hyper-V displays a real-time view of both host and VM compute resource consumption. Seeing real-time Hyper-V host and VM performance metrics will help you quickly troubleshoot issues. 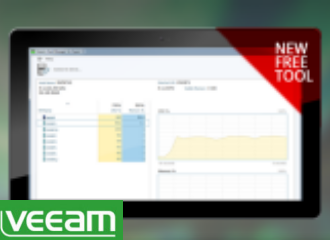 Veeam Task Manager for Hyper-V is a portable, standalone performance monitoring tool that is available for FREE! This lightweight tool is portable so you can run it from any USB device for emergency troubleshooting, so no installation or integration needed. 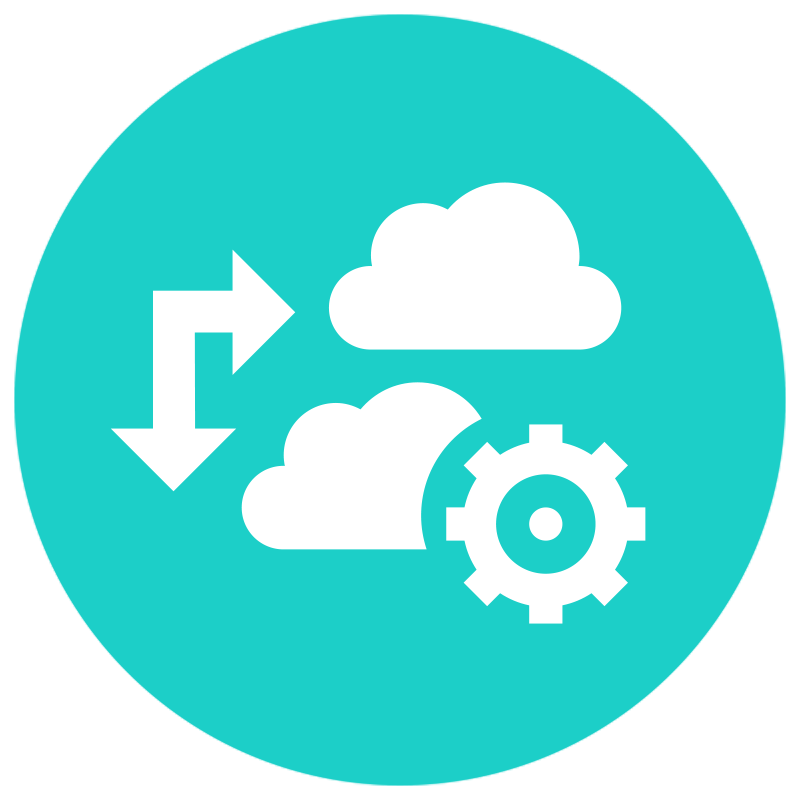 The metrics are updated every three seconds by default and can be configured to update less frequently if desired. Veeam Task Manager for Hyper-V is available as a standalone utility or as one of the many new features in Veeam Management Pack v7 for System Center, which includes app-to-metal visibility and advanced reporting. You can download Veeam Task Manager for Hyper-V here. 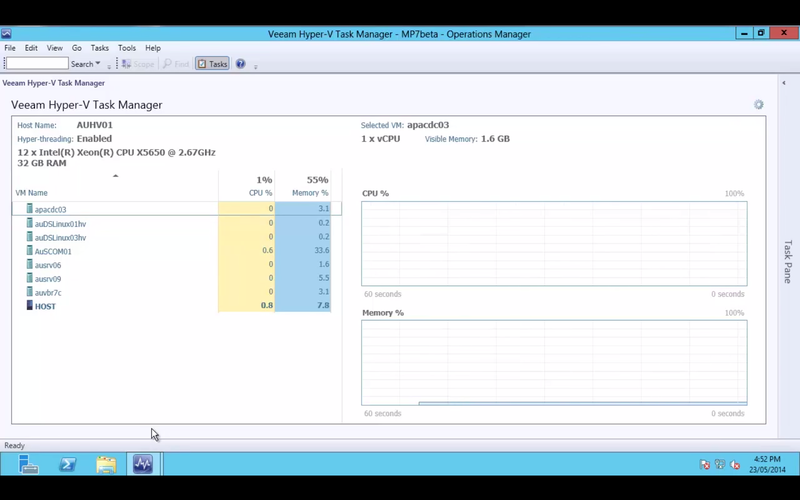 Watch the video to see how Veeam Task Manager works in Veeam Management Pack for System Center.